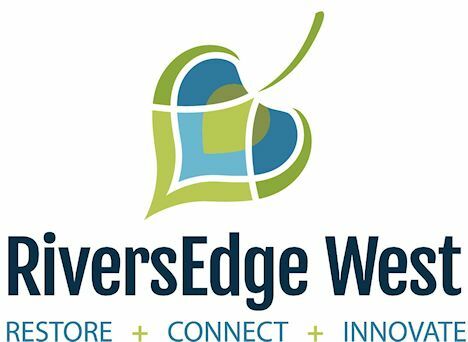 RiversEdge West's 17th Annual Conference, in partnership with the Desert Botanical Garden, was held February 5-7, 2019 at the Desert Botanical Gardens in Phoenix, AZ. The conference sold out, with over 210 people in attendance across 15 states and two countries. Stacy Beaugh, President of Strategic by Nature, offered free one-hour small group or one-on-one coaching sessions during the conference for those looking for professional or organizational support in topics such as leadership, team dynamics, communication, project outcomes, fundraising, board development and much more. Join us on the Boppart Patio for our Poster Session for a free drink, appetizers, and music from Kyle Carey. After the poster session, wander through the Electric Desert; a nighttime experience at seven specific DBG locations where light and original music create a mesmerizing display of the desert. Join us on the patio at Pitch for happy hour. To help us plan for seating, please RSVP here if you would like to attend. Pitch is located just 1.5 miles from the DBG at 6350 E Thomas Rd, Scottsdale, AZ 85251. A panel and workshop discussing the state of the science pertaining to Russian olive control along western riparian systems. Space available. A tour of the Research and Conservation programs at the Desert Botanical Garden - space available. Nestled amid the Papago Buttes, the Desert Botanical Garden has been teaching and inspiring visitors, providing research, exhibits, and more for nearly 80 years. Connect, get inspired, and advance your skills at RiversEdge West's Riparian Restoration Conference and while you are here, enjoy the Garden's 140 acres and the 50,000+ plant displays showcased in beautiful outdoor exhibits. The Desert Botanical Garden is located at 1201 N Galvin Pkwy. All conference attendees receive complimentary parking and admission to enjoy the gardens. View the DBG's map to locate the Dorrance Center and the Webster Auditorium. From the parking lot, go left at the Membership Kiosk, entering via the DBG's side entrance, and follow the signs for the conference from there. A light breakfast, morning snack, buffet lunch, and afternoon snack will be provided on February 5th and 6th. Light snacks will be provided during the field trips and workshop on February 7th. Please note: The poster session will take place outdoors amid the scenic gardens at the Desert Botanic Garden. Temperatures in February in Phoenix average 72 degrees and overcast during the day. Please consider bringing a jacket in case of chilly weather. Partner with us at the leading riparian restoration conference in the West by becoming a conference sponsor. Why Partner? Our attendees are taking a leading role in restoring riparian ecosystems and are an important audience for your organization’s message. Along with increased visibility, additional sponsor benefits include complimentary registration(s) and exhibit space. Ask us about additional benefits for title sponsors and refer to the sponsor packet for more information. Your contribution will directly support all aspects of the conference - from scholarships for students and networking events to the cost of facility rental and meals. To become a sponsor, make your contribution here, mail in a check, or contact Cara Kukuraitis, Conference Coordinator, at (970) 256-7400 or Ckukuraitis@riversedgewest.org. Each year, RiversEdge West awards $500 to a colleague or organization as part of RiversEdge West's First President's Award. This award is given in memory of Pete Larson, RiversEdge West’s first board president, to honor his dedication to restoring natural resources through education, science, and volunteerism. Nominate a colleague or organization for the First President's Award by filling out the form here! Email your nomination to Cara at Ckukuraitis@riversedgewest.org before January 20th or submit your nomination form in person to the conference registration table by the end of the afternoon break on Tuesday, February 5th. The individual or organizational representative that you nominate must be present at the conference to win. Scholarships are no longer available. The deadline to apply for scholarships closed on December 14, 2018. To make your reservation at the DoubleTree within the Riparian Restoration Conference group room block, click here or call 800-528-6481 before January 5, 2019. Includes a shuttle service that runs every 30 minutes to/from Sky Harbor International Airport on a space available first-come-first-served basis. Arriving guests should call 480-967-1441 after retrieving their luggage and pick up directions will be provided. Departing guests should inform the front desk of their departure time the evening prior to their scheduled check out day to ensure availability on any given shuttle. Local area transportation services for individual transfers are also provided on a space-available basis. To make a reservation at The Magnuson Hotel within the Riparian Restoration Conference group room block, call 480.947.7335 before January 5, 2019. Shuttle service to and from the airport is not provided at the Magnuson Hotel. Includes hot complimentary breakfast, free Wi-Fi, an outdoor pool, fitness center, guest laundry facility, and business center. The abstract deadline passed on October 19, 2018. If you would like to an abstract to be considered for next year's conference in Grand Junction, Colorado, contact Cara at Ckukuraitis@RiversEdgeWest.org. "RiversEdge West's Conference has been an essential resource for providing the information and skills I need to do my job. The information shared and connections made are invaluable." "My experience with the Riparian Restoration conference by far exceeded my expectations; the quality and depth of the science, the passion of the speakers and the location of the conference were all top notch. I brought home many slices of information that I can immediately utilize in my work day and feel confident in the vetting process that proceeded it. I plan on attending the next conference in 2019." "Having the opportunity to attend the Tamarisk Coalition conference this year was a fantastic experience. Because I work in a local watershed group tackling tamarisk and Russian-olive is a big part of my job, and the conference provided a valuable insight into the best practices and methods to reach our goals. This included sessions that not only covered the science of removing invasive species but also, covered important organizational tasks like how to recruit volunteers or raise money for our non-profit."